The Genesee Intermediate School District operates two early colleges in Flint that serve students throughout Genesee County and surrounding areas. Both are five-year high schools located on college campuses and serve students in grades 9-13. Located on the campus of the University of Michigan-Flint. 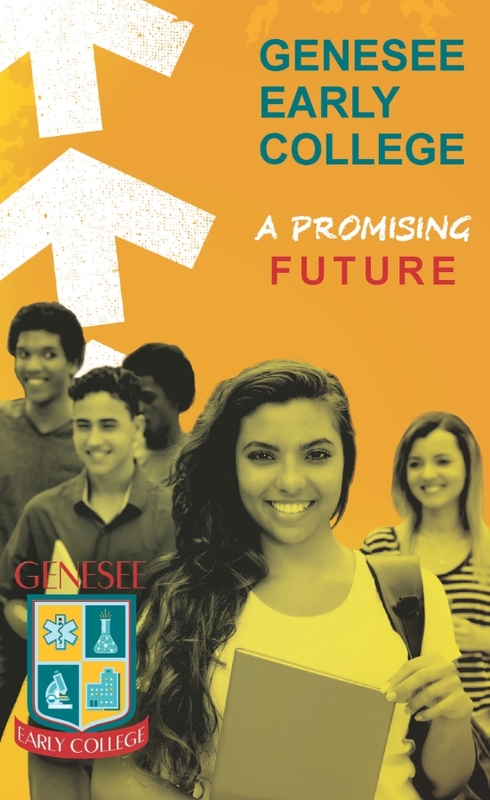 Genesee Early College combines the best elements of high school and early university experiences. GEC is dedicated to providing students from Genesee County and adjacent counties with rigorous and relevant instruction that supports seamless and successful post-secondary transition and baccalaureate degree attainment. GEC provides a rigorous curriculum and holds students to high academic and behavioral standards. Students can earn up to 60 free college credits while earning their high school diploma. The college credits that GEC students earn are transferable to most colleges and universities, irrespective of their intended college major. To learn more and apply, visit the Genesee Early College website. Located on the campus of Mott Community College. The Mott Middle College high school/early college program provides focused instruction and planning based on individual student needs, including academic support and career and college counseling. Its curriculum delivers the education and skills needed to succeed in high school, college, and at work. Students can earn their associate degree free at Mott Community College, while earning their high school diploma. As part of the program, students also complete one or more work internships within their local community. To learn more and apply, visit the Mott Middle College website.